Serves about: One if you are hungry…ha ha. Cut meat against the grain as much as possible as this makes for the tenderest final product. Marinade overnight. The Japanese pear tenderizes the meat very nicely. Dehydrate or hang dry in your smokehouse. If in the smokehouse, very periodically smoke. 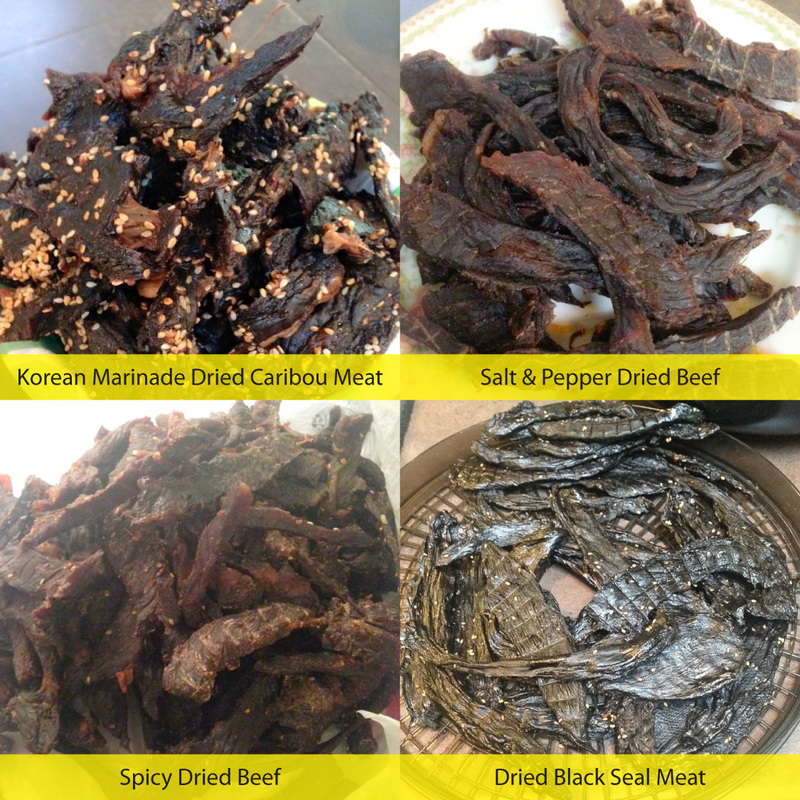 Anna made several batches of her Korean Marinade dried meat with both caribou and beef. It takes her several days to make about 30 pounds in borrowed dehydrators or about a week in her smokehouse. How does it taste? Anna says, “It got great reviews… but, I’ve shared almost all of it. As care bear says… sharing is caring.” Since making this first batch, Anna got a seal. She cut it up has been busy rendering fat, enjoying seal soup and making black meat in the dehydrators. She is now making salmon jerky. I sampled her variety of dried meats and they were delicious! Anna grew up in rural Alaska in the communities of Tuntutuliak, Platinum, Bethel and Kwethluk. 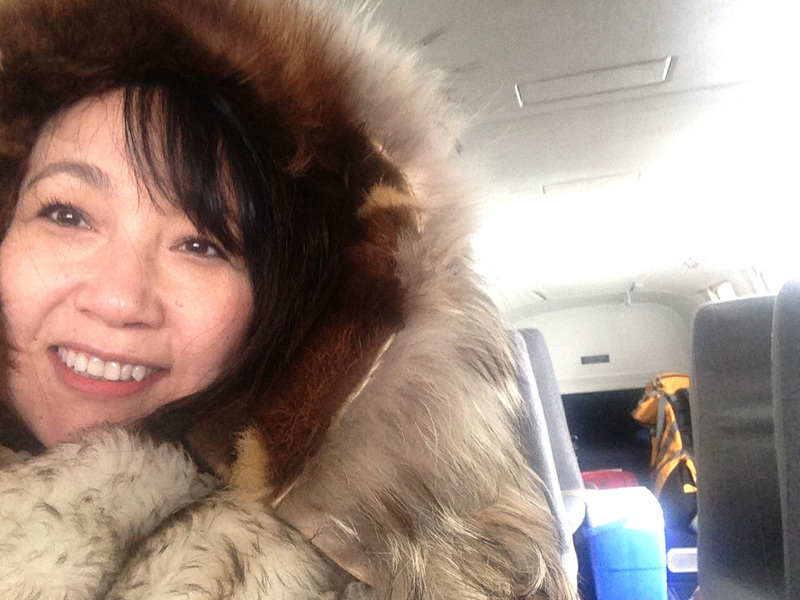 Through her Yup’ik heritage, she has family ties throughout rural Alaska. 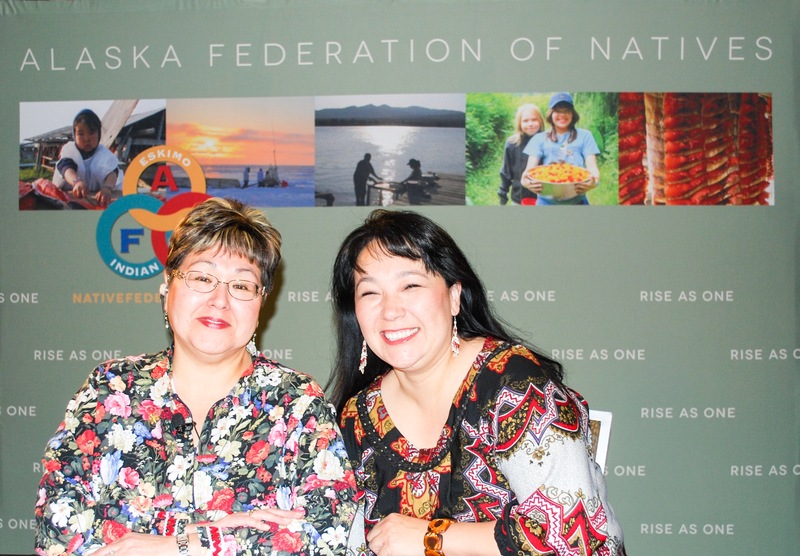 You may recognize Anna in her annual role as broadcast host for the annual First Alaskans Institute’s Elders and Youth Conference, Alaska Federation of Natives Convention and Quyana Alaska. 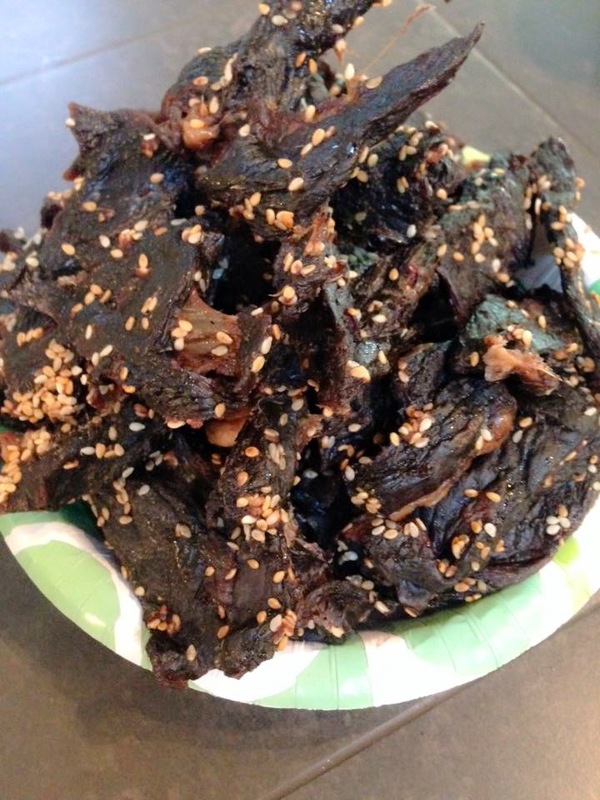 Thank you Anna Sattler for sharing your recipe for Korean Marinade Dried Caribou Meat! Sounds great! I might try it with moose. Yum! I will have to try this recipe with last years moose 🙂 Quyana for sharing!